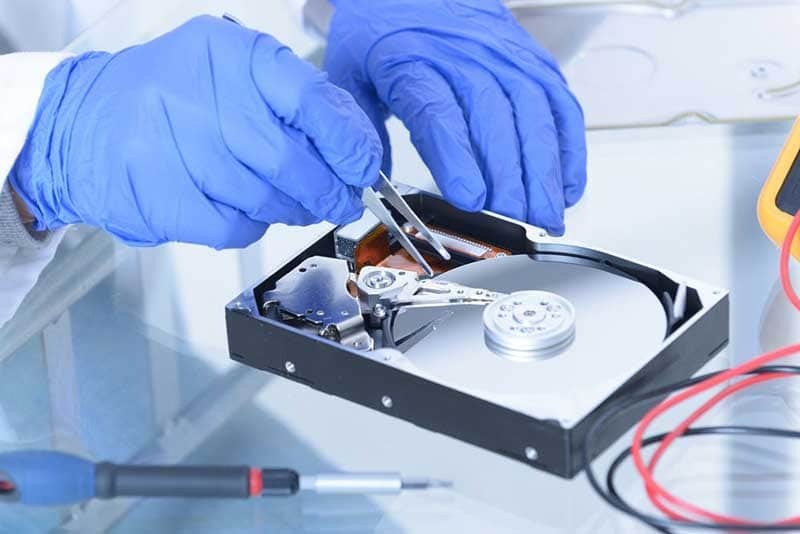 Why hard drive data recovery isn't a do it yourself job? Your Data Recovery Buddy Is Here And Now! Our 24/7 support will get back to you faster than a starbucks coffee! Think Hard Drive Data Recovery Is a DIY Job? Think Again. One of your hard drives just failed, and the information it now refuses to relinquish was fairly important. The big problem is that you need your data back ASAP, so you’re not sure whether contacting a professional hard drive data recovery service is the best use of your time. Data recovery software is fairly powerful. In the wrong hands, this power can wreak havoc on storage systems. In fact, one of the biggest challenges that data retrieval professionals face is trying to clean up after users who decided to recover information from failed drives with software tools. Deleting data on a hard drive is like telling the operating system that it can just write over the information that you want to delete. Marking the space that holds a file as empty takes less time and effort than going through and filling all of the memory cells with 0’s does, so it’s a common resource management practice. Software designed to recover information can read these leftover digital scraps and even extract old files. These tools aren’t for fixing serious errors, however. If you attempt to work with them when your hardware contains other underlying problems, then they could make changes that permanently sink your chances at successful data recovery. If you’ve ever seen pictures of companies manufacturing data storage devices, such as HDD hardware and other precision electronics, then you may have noticed everyone wearing cleanroom suits. This isn’t just to protect workers from harsh chemicals and other hazards: Products like servomotors, semiconductors and surface-mount electronics benefit from sterile surroundings that are free from dust, hair, skin and excessive moisture. Such contaminants may be small, but they have the potential to cause serious faults that degrade devices. Do you have an ISO 5 Class 100 cleanroom in your home or office? If not, then you shouldn’t be opening up your failed hard disk devices. These components are factory sealed for good reasons, and even if you’re careful about not breathing too heavily around your wide-open hardware, you’re likely to void the warranty by breaking the seal. Although the most critical times for sterilization occur during the manufacturing process, caution is always the best policy. This is just a choice selection of the problems that you can cause for yourself by trying to recover your own hard drive data. If you honestly care about getting your information back and your life back on track, then you’ll skip the DIY solutions. Instead, talk to the professionals at TTR Data Recovery. The road to lost data is paved with good intentions and DIY procedures. Imagine that you find a self-help data retrieval article online and follow the instructions to a tee. Now that you’re done, the next logical step is to hook the drive up and make sure that it actually works. What you didn’t know, however, is that your HDD suffered a mechanical failure that stopped the read arm from moving back and forth properly. When the platters start spinning up, the improperly positioned component takes a huge chunk out of the magnetic layer, physically destroying millions of the memory cells that hold your data. All of this could have been avoided with correct diagnostics and professional help. Now, you’ll spend even more time trying to get your information back, and it’s likely to hit your wallet harder. If you’re still contemplating DIY hard drive data recovery, then learn from this all-too-common example.